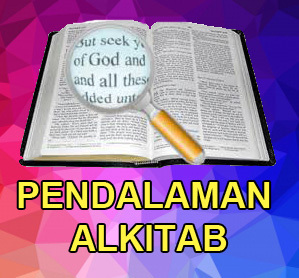 Kasih Allah, berkatnya yang melimpah, kesejahteraan dan kesembuhan /pemulihan yang luar biasa oleh Yesus Kristus, sebagaimana Anda setia dan bertekun dalam mencari wajah Allah. Saya berpegangan pada prinsip “Kuasa Penyembuhan dari Firman Allah” dan saya menekankan pentingnyaof our “giving voice to God’s Word.” This subject is still very much on my heart at this writing, karena saya melihat begitubanyaknya sakit penyakit dalam kehidupan kaum percaya, and I know this is not the will of God. The Christian believer should be the healthiest people on their block. Mazmur 107:20 said that “God sent His Word and healed them and delivered them from their destruction.” Jesus Christ, the living Word finished the complete work of healing and deliverance for all who will believe. Exodus 23:25.. “And ye shall serve the Lord your God, and He shall bless thy bread, and water; and I will take sickness away from the midst of thee. These are promises God had made to Israel, as they were about to go into the Promised Land. PEOPLE, Jesus Christ, our Joshua, our Savior, have brought us into “the promised land and the land of promises.” Now it is our time to manifest all that he has given by laying our claim to what is rightfully ours. Israel had to take action and stick together to claim what was given them. Were there enemies before them to try and stop them and hinder them from receiving what was theirs? Yes! Do we have an enemy to hinder us? Yes! But can he stop us? No, only if we let him. It’s high time we get some holy boldness to VOICE our claims with believing confidence and trust in the Living God and His Living Word. If you are taking medication don’t stop, but don’t forget to take God’s medicine either. Then give voice to the Healing Word and tell your body it is healed by the stripes of Jesus Christ. Keep voicing it until it happens, and claim God’s protection from the flu and other plagues. Also, help one another by voicing God’s healing Word to them. Penebusan dan penyembuhan melalui Tuhan Yesus Kristus membuat saya sangat bersyukur!